Our featured client Esprit Photography had some key design goals that we really wanted to hit home on. One of the challenges that most photographers have is trying to get the most bang for their buck when it comes to advertising dollars. Photography websites are also challenging because the photos need to look really good, but they also need to load quickly and have a simple navigation structure to browse through them. Esprit Photography also wanted to create an online presence that generated a lot more interaction with potential clients through the website in order to reduce their marketing spend on other types of advertising and really focus all of their efforts online. In conjunction with this goal the website would need to be optimized for the search engines in order to generate leads in an industry that is extremely competitive. Website must generate interactions from potential clients. Website must be optimized for search engines. Website should have a magazine like look and feel. Website should convey the brand accurately. Image galleries should be very easy to use. Photos should be high quality. Website navigation should be kept very simple. 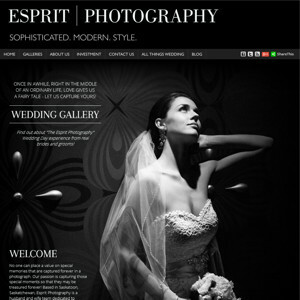 Esprit Photography also utilized our cloud based email solution for their email as well as our SEO monitoring service to track their progress in the search engines. With a cohesive blogging strategy, and a well designed website - we were able to propel Esprit Photography to the first page of the Google organic search results for the keywords that were most important to the business. By directing clients to contact Esprit Photography through the online contact form, we were able to achieve the desired goal of increasing the level of user interaction on the site. During the year following the launch of the new website, Esprit Photography was able to cut their traditional advertising spend due to the volume of requests coming from the new website. "We are very pleased with the website design and hosting services provided by Insight Hosting. 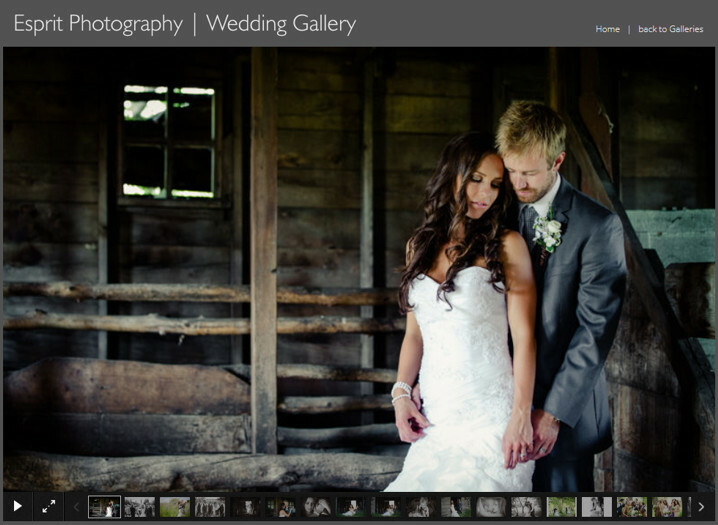 Creating an online photo gallery with all of the features that we required was a difficult task, and we are very happy with the product - our website had never generated this many connections prior to the launch of the new website. SEO services have been so successful that we have been able to cut back on other forms of advertising and utilize the website as our main tool for attracting clients." Whether you are looking to get more out of your existing website, or you are looking into options for a new website - we can help you achieve your online goals. Learn how to setup your Outlook 2013 email client with Office 365 email by Insight Hosting. Learn how your organization can benefit from Cloud Services from Insight Hosting - Part 1.